Striped shirts are one of the most underrated shirts in a mans wardrobe, the original name for a striped shirt was the Bengal striped, its got its name from the Bengal striped fabric which originated from the classic gingham weave, although now gingham is characterised by its plaid – or checked – weave, it started life in the Far East as stripes (it’s believed that ging-gang means ‘stripes’ in the Indonesian and Malay languages). 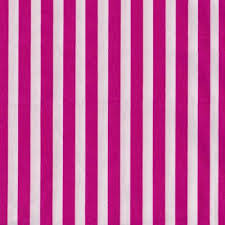 So when this fabric started being shipped from Bengal, it made sense to name it after another of Bengal’s most famous exports, the Bengal tiger, since then there has been very many different stripes from pencil stripes to candy stripes, striped shirts are very vivid but stylish, in the early 20s Jazz players wore stylish striped coloured striped shirts, striped shirts became a stylish shirt for young stylish men all over the world, by the 60s came striped shirts became less fashionable. In the 80s the striped shirt came back with a bang, bolder the strip sharper the shirt, by the mid 80s early 90s yuppies made the striped shirt apart of their wardrobe, it was all about power dressing red braces & slicked back hair, it was all about the money, the image of a sleazy yuppie put people off striped shirts all together, but striped shirts are back fresher and bolder more than ever. 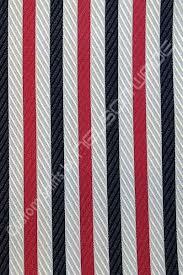 Candy stripes are more bolder, it gets its name from the Barbers pole that used appear out side barbers shops, it looked like a big striped candy stick, also barbers in America used to wear striped shirts, even today in America barber quartets are famous for wearing striped waistcoats. 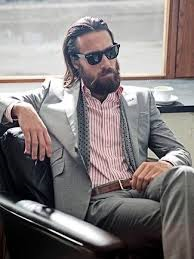 Herringbone striped shirt, the herringbone striped shirt gets its name from it herringbone stripe woven into the fabric, you get a bolder striped with a stylish pattern running through it, these shirts are worn more for business, but as a casual shirt your getting a very special piece. 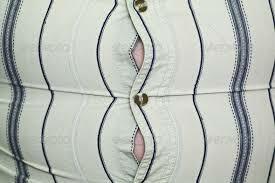 In todays fashion market you can get many striped shirts from most apparel, but a striped shirt has its good points and bad points, if your of a slim build with short legs a striped shirt can give your torso a slim longer look, if you’re a fat guy and you wear a striped shirt you will look like a big beach ball, so be careful in your choice of striped fabric and fit. The shirts I have chosen for you are from some of the very best on the market today if you like any of the pieces I’ve chosen simply click on the image it will take you to their website so you can purchase it if you wish too. 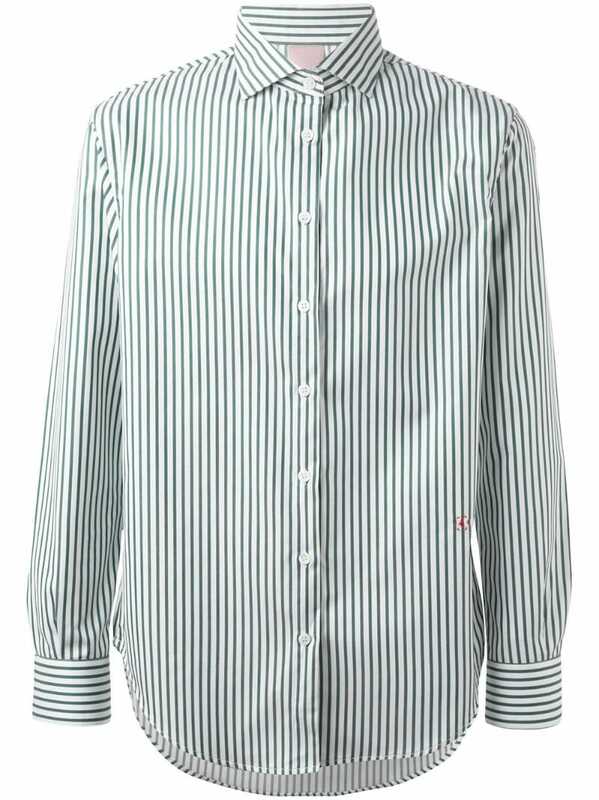 Multicoloured cotton striped shirt from +People. 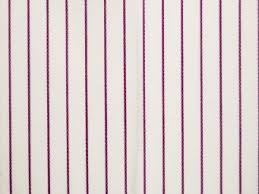 Now we have found some stylish striped shirts what to wear with them, it’s all about wearing the right pieces in a stylish way, so I’ve chosen a couple of pictures to inspire you to wear your striped shirts with a smile & a bit of swagger. 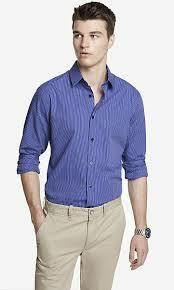 I hope you have enjoyed my choices, my favourite striped shirt is my baby blue with white bold stripes with a button down collar priceless, style is what you make it adding stripes to your wardrobe will give you a different but stylish look.